She recently told Billboard “I don’t consider myself a feminist.” It shows. ‘Dear Future Husband’ was featured on her album ‘Title’ which was released in January 2015. However this month the song made it into the spotlight following the release of its music video, which currently holds 10 million views. The song and accompanying video are overwhelmingly problematic, and what is scary is that women are listening to it, and not realizing how oppressive it is. ‘Dear Future Husband’ enforces gender stereotypes that feminists have been battling for years. Trainor states she will “Buy groceries” for her man and that will make her the “perfect wife.” I realize that women are the primary consumers in the vast majority of households (because we haven’t yet overthrown the idea that it is always the woman’s responsibility to take care of the housework), but buying groceries is what makes a wife perfect? Incredibly sexist as it teaches women the household should be their responsibility. This idea is perpetuated in the video as Trainor is shown in the video dressed in retro housewife attire, scrubbing a kitchen floor with no indication of irony. Housework should be the shared responsibility of all the able bodied members of a household. How can we wonder why the double burden still exists when we are being fed songs that maintain gender stereotypes? Even the title of the song is problematic! It teaches children that men are born to be husbands and women are born to be wives; we should not assume this is the course people will take. There is one saving grace to this song – a line in the first verse that goes “You got that 9 to 5, but baby so do I.” Thank goodness Meghan Trainor recognises women work now, and that we’re not still in the 1920s. It isn’t especially shocking that Trainor has released a song so grossly anti-feminist considering her song writing history. Trainor’s first popular single ‘All About That Bass’ shames women with slimmer physiques, describing them as “Skinny b****es.” It appears Trainor does not understand that you don’t have to shame one body type to make another seem acceptable– she just can’t seem to spit out the self-assured lyrics without spitting on slimmer women. Obviously “Every inch of you is perfect from the bottom to the top” if you have the same figure as Meghan Trainor. She also stated it was okay to be big, but only because “boys like a little more booty to hold at night.” Self-worth based on whether men find you attractive is pretty flimsy; we shouldn’t need verification from other people to be confident in how we look. Ultimately, both of the songs are heteronormative, obnoxious and sexist, but the disguise as a swirly rainbow lollipop of girl power makes the world accept Trainor as a pop princess. I would encourage you all not to buy Trainor’s album or even one of her singles, her music is damaging and she should not be supported. Are horror films on the decline? Two years ago were your dreams haunted by an old woman? As foolish as it may be, 2011’s Insidious certainly left a stain upon my mind, resulting in the old woman disturbing my midnight wanders around the house to this very day but can this response be admitted to the second instalment, Insidious: Chapter 2? Whether it’s a soul that’s haunted or a house, Insidious: Chapter 2 has undoubtedly caught the attention of critics and the public alike, grossing $78,643,586 within the first month. But despite the £5 million poured into the creation of the film, is it just another wander around another haunted house and a haunted soul? The film carries the unnerving atmosphere from the first with scares that should make you flinch and not make you feel so bold about it but the repetitive comedic structure constantly defuses the tension until it’s almost invisible and not as scary as you’d expect. However, as many of you may have noticed the horror genre these days is not quite what it used to be and we’re hardly spoiled for choice. Who can forget the famous head spin from the Exorcist, the childlike rhyme of Freddy Kruger and Janet Leigh’s bloodcurdling scream? It seems like we can never forget these classic scenes as quite often people return to these films in an attempt to remember what horror actually is. In this highly technical, modern day people are just too hard to scare. Outer space, psychos and religion may still be daunting but with so many ideas already explored it’s hardly surprising how judgmental many of us are towards new ideas – have we seen it before? Have we seen elements of Insidious: Chapter 2 before? Did you find the film slightly predi ctable? If you haven’t noticed by now, maybe you should go back and see how Insidious: Chapter 2 has a lot of elements from The Shining within it. At times Patrick Wilson (Josh) echoes Jack Nicholson’s insane performance complete with the stare and sarcastic tone . It even has an almost near- echo of a door scene that’s used near the climax within The Shining. Other elements echoed within the film would be the use of windows and the red door. The constant colour of red! It’s everywhere, from the first demon, to the only colour on Parker Cranes mother’s face. You really can’t escape it. However, despite the repetitive jokes Insidious: Chapter 2 does manage to provide a satisfying “scare” and it does manage to tie up some loose ends. So maybe it’s time to accept the changing genre? Or maybe the horror genre is currently crawling through a dry patch and (hopefully) some unseen material will emerge soon. It’s just about waiting.. In the meantime there are rumours of a third instalment to the Insidious franchise and although we’ve all seen the ugly dolls, creaky doors, rocking horses, fusey lights and interminable interludes of quiet, quiet, bang “scares” before- what else is there possibly left to say? Bastille have shot to success recently with their debut album, Bad Blood, going to number one in its first week of release and their surprising chart battle against none other than Justin Timberlake with single, Pompeii. With several singles and EPs already floating around the music world, the South London four-piece released the first of two mixtapes entitled Other People’s Heartache in early 2012 with the second mixtape, (aptly called Other People’s Heartache, Pt. 2) released later on in the year. Both mixtapes feature film clips, covers and samples of tracks both new and old; from TLC’s No Scrubs and Corona’s Rhythm of the Night to Calvin Harris’ and Florence Welch’s Sweet Nothing and Frank Ocean’s Thinkin’ ‘Bout You. February saw the start of a, very almost sold out, tour for Bastille and on Sunday 10th March and, still reeling from the success of their now number one album, the band played at Stylus in Leeds University. Featuring four support acts across the ‘Bad Blood Tour’, the crowd on Sunday was warmed up by The Ramona Flowers and New York based band, MS MR who drew the audience in with catchy but haunting songs such as, Bones and their new single, Fantasy. mixture of new tracks from the album such as, The Silence and incredibly catchy, The Weight of Living Pt. II along with older favourites, Laura Palmer and pleasantly unexpected B-sides, Poet and Sleepsong. When discussing the band’s mixtapes, Smith unabashedly confessed that they were, “sued a little bit” which is why the mixtapes are now unavailable to download online, before encouraging the crowd to, “download it from Pirate Bay” and then launching into their rendition of R&B trio, City High’s What Would You Do? Popular favourite of the Other People’s Heartache mixtape, the cover saw crowd members sing along to every word, showing their dedication to the band and demonstrating the wide and impressive range of music that Bastille can cover. The band ended the set with their first single, Flaws seeing Smith come into the crowd and singing along with his fans before thanking everyone for coming and continuing to admit how strange it felt to be playing at the university that he had attended. Bastille’s songs are all equally epic and captivating with loud, punchy choruses and honest, heartfelt lyrics that put the generic ‘chart-toppers’ to shame. Finally receiving the recognition that they deserve, the band are already lined up to play many festivals across the summer and will, without doubt, continue to impress. Their debut album, Bad Blood and Bad Blood (The Extended Cut) are available now. Posted on 14 March 2013. The critically acclaimed Steampunk first-person shooter series is to become a trilogy later this month with the release of Bioshock: Infinite. To celebrate, Game on the Headrow in Leeds is organizing a launch event to celebrate all things Bioshock. This special event will take place in Fab Cafe Leeds on the 25th. The highly anticipated game, which is not part of the narrative of the previous installments takes place in an alternate 1912 during the growth of American Exceptionalism, the game’s protagonist, former agent Booker DeWitt, is sent to the floating air-city of Columbia to find a young woman, Elizabeth, who has been held captive there for the last twelve years. Though Booker rescues Elizabeth, the two are pursued by the city’s warring factions; the nativist and elite Founders that strive to keep the city for pure Americans, and the Vox Populi, a rebel grouping representing the common people. Booker finds Elizabeth to be central to this conflict, and that she also holds strange powers to manipulate rifts in the time-space continuum that ravage Columbia. The event, which is free entry, will feature a Cosplay competition, a quiz, themed cocktails and an opportunity to play the game. The ball is open to anyone who is over the age of eighteen and willing to join in the fun and games (although you are not required to break out the Big Daddy suit if you really don’t want to). I know, from going to the previous launch organised by Game for the Studio Ghibli production of Ni No Kuni, it will be and excellent and entertaining night. I am very excited to play this Game and I also hope I have persuaded you to join me for a journey on the airship Columbia. “If music be the food of love, play on”. Twelfth Night has to be one of Shakespeare’s best loved comedies. The Apollo theatre in London is currently host to a production originally created for the 400th anniversary of the first recorded performance in the Middle Temple Hall in 1602. The production transferred to the West End after a sell out run at the Globe Theatre. The performance features an all-male cast starring Mark Rylance as Olivia and Stephen Fry as Malvolio. I was lucky enough to witness the performance for myself last week. As I entered Apollo theatre, I was amazed by the intimate yet grand and authentic stage environment. The theatre was filled with the sound of traditional Elizabethan instruments, accompanied by the singing of Feste. There was a buzz amongst the whole audience as we watched in anticipation, as Rylance practiced his ‘Dalek-like’ walk across the stage, whilst other cast members were having their make-up applied and being helped into their costumes. Rylance and Fry are the big draw for many people, however, as I watched the performance I realised the characters of Maria and Sir Toby Belch really brought out the slapstick, tongue in cheek comedy of the play. Rylance’s performance was a thrill to watch. His performance as Olivia was hysterical, playing a very believable role along with the delivery of lines that brought the written words to life. Director, Tim Carroll strived for authenticity for the production, which he most definitely achieved throughout the whole performance. At either sides of the stage some of the audience sat in wooden galleries – typical of Elizabethan times. To accompany the authentic stage environment, the clothing had been hand-stitched and the shapes as close to those drafted by 16th century tailors using only buttons, pins, laces and strings. Reading Shakespeare from a book can sometimes seem slightly tedious, but seeing a performance like this with such superbly, talented actors makes you realise what a brilliant playwright Shakespeare was. The standing ovation was fully deserved! To top off a wonderful evening, David Tennant happened to be sitting two rows behind us!! This will be one night I won’t be forgetting in a hurry. 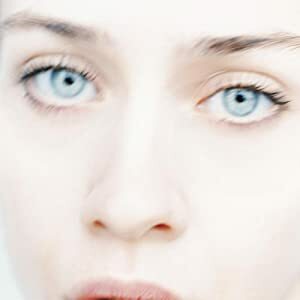 Tidal is the first album of Fiona Apple, a talented singer-songwriter who, following her debut, has released albums of critical and commercial acclaim. This album whilst not her best remains one of my favourites for various reasons. To name a few: the intricacy of the lyrical content, the melodies – sonorous and sullen and genuinely heartfelt… (Admittedly, this isn’t so much a review as it is an ode to her brilliance.) In my opinion, Tidal, released in 1996, remains a true classic. Her voice and the piano are the main components of this album, though her song-writing ability certainly stands out too. The opening song, ‘Sleep To Dream’ is filled with sharp bursts with anger as she exclaims, ‘I tell you how I feel, but you don’t care/I say tell me the truth, but you don’t dare/You say love is a hell you cannot bear/And I say gimme mine back and then go there, for all I care’. ‘Slow like honey’ is a little smoother – a little sultrier; in this, she sings with a perfect contralto, giving it a much jazzier feel. ‘Sullen Girl’ is, for lack of a better word, a surprise; while there’s experience, honesty and originality in all of her songs, this is definitely one of the rawest, and the saddest. It’s marked by its hauntingly beautiful piano, which eventually swells up to a near orchestral chorus before shrinking back down again to her voice only. If you move onto her later albums, you’ll hear that while the both honesty and imagery remain, the sounds change. When The Pawn… is a little more mature, and is favoured by those who weren’t too impressed by her debut. Some fans have found her most recent album, The Idle Wheel…, a little more demanding. However, hailed as a ‘postmodern Billie Holliday’, I would say that she is always worth listening to. The Twilight Saga: Is it really over? Unless you live under a rock, or avoid Facebook and teenage girls all together you may be blissfully un-aware of the Twilight phenomenon, it began with four books that spawned five films and a legion of loyal fans known only as twi-hards. These fans ranging from the forgivable thirteen year old girls to the slightly worrying middle-aged women have allowed the books and the critically ridiculed films to earn millions because they do not seem to care about the bad acting and story development as long as Edward says something vaguely romantic every couple of pages. Most people, including me, are glad to see the back of it and with its conclusion what will happen to the Twilight infected youths left in the wilderness after the mania fades away? If you haven’t read the books here is a summary, the story focus’ on Bella Swan, a dull and infuriating protagonist stuck in-between a glittery vegetarian vampire know as Edward Cullen and Jacob Black, a shirtless and irritating werewolf. Throughout the novels Bella fights many foes, mainly the Volturi, a coven of entertaining and well-dressed vampires led by the evil Aro, who is fabulous and a light reprieve from the other vampires in the story who kill very few people and try to live ‘normal’ lives. Girls worldwide, specifically in America, became so obsessed with Bella’s on-going struggle between two attractive men that a film was placed into production and the first instalment ‘Twilight’ was released in 2008. The cast of the films is led by the forgettable Kristen Stuart as Bella Swan, whose biggest achievement is an affair with her Snow White and the Huntsman director and an acting style that features only one facial expression. She is backed up by Robert Pattinson as Edward Cullen, know for portraying the doomed Cedric Diggory in the fourth Harry Potter film. And although his acting style suggests that both he and Stuart have the same teacher he is the only member of the cast who is willing to express his dislike for Twilight and its fans as often as he can. The trio is completed with Taylor Launtner as Jacob Black, he isn’t really famous for anything else and he takes his shirt off in the films more times than he actually speaks. Finally this November saw the end of these films, its loyal fans flocked and camped to catch a glimpse of their heroes at the premier before they saw the saga conclude, many were clutching books for the stars to sign or just refusing to lessen their grasp on Robert Pattinson so he could get it all over with. I have had the misfortune of seeing every film and as the credits rolled in my local cinema many twi-hards were left looking lost, at least when the books concluded they had the films to quench their thirst and the looks on their faces reminded me of how I felt when Harry Potter finished, although the magic has never truly ended. For a brief moment I sympathized with them but then I remembered the quality of literature and film they had chosen to become obsessed with and those feelings faded. As a person who loved Harry Potter until the very end I can see the dilemma, where do you turn next? Do you give up your obsessions altogether and just enjoy films and books in a more human way or move on to another fanbase? I personally have been entertaining myself with the series’ The Hunger Games and The Mortal Instruments, all with films coming out and their own dedicated fanbases which this time, I am not a part of. I just wonder if these fans will grow up and accept the end, or clinch at the terrible films their favourite stars will eventually choose to do in the future; as well as re-reading the books and watching the films again all in the hope to regain the magic they once felt. Or the teens could just wait until they are older and read 50 Shades of Grey, as that is based on the Twilight story and is equally badly written with a dreary protagonist, but who knows? – Robert Pattinson discussing Edward and Bella’s ‘love’ story. Young Adult Novels: A Cliché? Posted on 06 November 2012. Young Adult novels have had their fair share of slander over the years, but should a novel aimed a specific audience really be disregarded because of said audience? I’m not arguing that we should take ‘Twilight’ and put it up there with canon literature but sometimes I can’t help but get the impression there is a certain amount of snobbery associated with the genre, especially when it comes to the romances. I get the feeling the reason for this is big cooperate book stores and their obsession with for some reason placing all the books with the cheesy covers featuring beautiful swooning girls and ethereal men on the cover with some half-hearted review by Stephanie Meyer in their own little section, hereby giving the impression that all young adult literature is read by overly hormonal, fourteen year old girls. I’m talking about beautiful coming of age stories from geniuses like John Green and Steven Chbosky, Dystopia worth of George Orwell in the form Lauren Destefato and Suzanne Collins, heart breaking, moving books from Lauren Oliver. When I say YA lit I don’t mean the cliché we all so readily accept of a twelve year old girl swooning over Edward Cullen. I don’t have any problem reading canon literature, and can appreciate it as much as the next person- but I feel like the stigma given to YA can make me feel slightly inadequate for shopping in the ‘teenage’ section of Waterstone’s, because sometimes bit of teen drama is exactly what you need. I feel like incredible authors can be disregarded for their audiences which really shouldn’t be what reading is all about. A book should be based on the words, the connection with the reader, not what genre/audience it has. I’m not saying I don’t appreciate and read adult literature, Classics, poetry, biographies, I’m open to anything as I think most people should be, what I am saying is that yes, sometimes you want to read a book with all the complexities, that people have spent time and energy studying, that are about people with vastly complex and interesting lives who make you question the metaphorical resonance of the world around- and then sometimes you want to read a book purely for the story, for the escapism and the teen drama. The genres of fiction, and teen fiction shouldn’t be set with such a fine line. I know plenty of people who can enjoy both. So stop reading the cliché of teen lit which seems to have been constructed, because the audience shouldn’t define the book, there are a lot of really beautiful books in there which shouldn’t be over looked. So don’t pass it off because of the cliche associated with it; don’t overlook the beautiful novels hidden amongst it, because in my opinion it should be credited just as much as any other form of literature.